Grammy-nominated singer, songwriter, and composer Rufus Wainwright will play two highly anticipated New Zealand dates in March 2019, as part of his 20-year anniversary “All These Poses” tour. For these special anniversary shows, Rufus and his band will perform material from both Rufus Wainwright (1998) and Poses (2001) – two critically acclaimed albums featuring fan favourites like Cigarettes And Chocolate Milk, Poses, April Fools. California, and Foolish Love. It was his self-titled debut which first burst him onto the music scene. Immediately beloved, both Rufus and the record were widely hailed as a breakthrough. It influenced many artists that came after him and set the path for his illustrious career ever since. “20 years, what can I say?” states Rufus. “In life, one stands the test of time but in music, thankfully, one reaps the rewards. Come savour a very fine vintage of songs, those were some pretty good years!" Presale tickets are available from Tuesday 14 August at 10am, with exclusive VIP packages also available. Details at rufuswainwright.com. 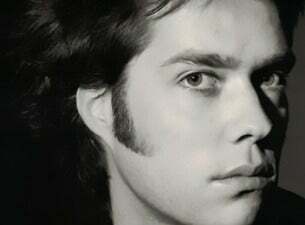 Rufus Wainwright, one of the great male vocalists, songwriters and composers of his generation, has released eight studio albums, three DVDs, and three live albums. He has collaborated with artists ranging from Elton John, David Byrne, Mark Ronson, Joni Mitchell to Burt Bacharach. At the age of 14 he was named Canada’s best young musician and later received the Juno Award for Best Alternative Album. His album, “Rufus Does Judy” recorded at Carnegie Hall in 2006, was nominated for a Grammy. In 2018, Rufus won for his contribution to the “Tony Bennett Celebrates 90” album in the best traditional pop vocal album category. His acclaimed first opera, Prima Donna, premiered at the Manchester International Festival in July 2009 and has since been presented in London, Toronto and BAM in New York. In 2010, Wainwright was commissioned by the San Francisco Symphony to compose and interpret “Five Shakespeare Sonnets,” a five-movement song cycle that sets Shakespeare’s “Sonnets” to orchestra and voice. They have since been performed worldwide by orchestras including the Chicago and Montreal Symphonies. In 2010, he was the first artist to complete a five-concert residency at the Royal Opera House Covent Garden in London. In September 2014, he made his debut with the London Proms at Royal Albert Hall and performed at the Last Night of Proms in the Park. Other recent achievements include the 2012 world premiere of Sing Me The Songs That Say I Love You: A Concert for Kate McGarrigle, the feature length music documentary that captured the May 2011 tribute concert honoring Rufus’ late mother, the legendary Kate McGarrigle. In 2013, he sang for Billy Joel at the Kennedy Center Honors in Washington. In September 2015, the Deutsche Grammophon released a double CD recording of Prima Donna with the BBC Symphony Orchestra. Rufus’ latest recording, Take All My Loves: 9 Shakespeare Sonnets, was released on April 22, 2016 on Deutsche Grammophon to critical acclaim. Shortly thereafter, a decade after his celebrated, iconic performances marked a career highlight, Rufus paid tribute once again to the “greatest night in show business” by revisiting Rufus Does Judy at Carnegie Hall, an epic recreation of Judy Garland’s 1961 comeback concert, over two much celebrated nights in June 2016, followed by a restaging at the famed Luminato Festival in Toronto. The anniversary tour comes hot on the heels of the debut of his second opera, Hadrian, set to premiere on October 13th at the Canadian Opera Company (Toronto). Hadrian was inspired by the Roman Emperor Hadrian and his love for Antinous. The opera is composed by Rufus and award-winning Canadian actor, director and playwright Daniel MacIvor.